Par 3 courses nicely fit beginning golfers, juniors, occasional golfers, families wanting to play golf together, many women, couples, seniors who like to walk for the exercise, someone wanting to play a quick round, leagues, company and conference events, experienced golfers desiring to work on their short game, for giving on-course instruction and some disabled persons. They all can love these courses! Experienced golfers are more attracted to interestingly design par 3 courses with long enough holes. The developers of the Robert Trent Jones Golf Trail thought so much of par 3 courses they included one at each of their eight golf resorts around Alabama. Annually the day before the Masters tournament there is a fun competition held on the Augusta National’s par 3 course. If you are thinking about building a par 3 golf course, here are some frequently asked questions on the subject? HOW MUCH LAND IS NEEDED FOR A PAR 3 COURSE? At least 30 acres (12 hectares) is required for nine holes of similar length to the par 3 holes on most courses with a par of 70 to 72. Extreme contours, land features that must be avoided like wetlands or boundaries restricting full use of a site for holes can demand somewhat more land. Only a routing plan done with an accurate map will indicate just how much land you need or what a course could be like on a specific site. Naturally a course with shorter holes takes less land. That might run from 20 to 25 acres (8 to 10 hectares) for nine holes. A par 3 course with even shorter holes is commonly called a pitch & putt course. 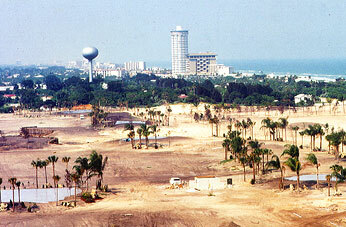 HOW MUCH WILL A PAR 3 COURSE COST TO CONSTRUCT? The answer to this important question can vary widely from course to course, like asking what will a house cost to build? Strong influences on a course’s cost include the suitability of the land for constructing golf holes on, the method used to build its greens, who will do the construction, the kind of irrigation system and other major factors. $30,000 to $50,000 a hole is wide range, but gives some idea of a possible cost. If a lot of dirt is moved, the greens are large using the USGA method, there are numerous sand bunkers, an elaborate irrigation system and even paved cart paths going entirely around the course, the per hole figure could run higher than $50,000. Shorter and simpler holes could cost $25,000 or even less. WHERE CAN I GET INFORMATION ABOUT BUILDING A PAR 3 COURSE? A golf course architect, experienced in designing par 3 courses, is the best single source of information. An evaluation of a potential site or comparison of several possible sites as to their desirability for a par 3 course could be provided early by the golf course architect. A careful tour of the selected site and then thorough discussion of the entire project is essential to giving useful answers on any course. CAN I MAKE MONEY FROM A PAR 3 COURSE? Yes, providing certain critical conditions are met. 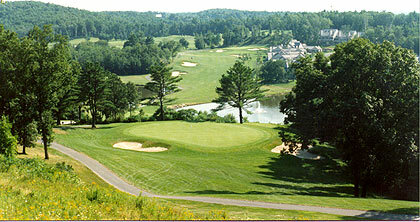 There must be enough potential customers within a convenient driving distance to regularly play the course. A resort area could have enough customers in season. To help towards making money all expenditures should be carefully budgeted, both for its construction and its operation. Then the course should be operated strictly as a business. A “plush country club approach” is not usually the formula for success for a smaller-sized course. And in this field it is common knowledge that an operator should want to be doing this type of work and during busy times be willing to spend long hours on the job. Such a business does have the advantages of dealing with people wanting to relax and recreate in an attractive landscape setting. A course developer should be aware that house lots next to a course usually sell faster and bring higher prices than ordinary house lots. These sales could assist in paying for some of the course’s construction cost, if house lots can be planned as part of a project. CAN I BORROW MONEY FROM A LOCAL BANK TO BUILD A PAR 3 COURSE? The answer is not without sufficient collateral. Most banks are not familiar with loans for golf courses, in fact in the mind of many bankers there is mainly an image of golf being of membership clubs with a break-even outlook. A site owned free and clear, family assistance or a small group with funds to initially invest are often a good start towards financing a new par 3 golf course. The Small Business Administration might be the source of a loan. There could be other ways and “creativity” would help with many projects. AN INTERIM COURSE PLAN. It may not be that everyone who would like to develop and operate a par 3 course can afford everything for the course at first. There is an alternative of grassing the site for the holes and offering it as an elementary course until the tees, greens, bunkers and other eventual course features can be built as desired. Not much will be wasted or duplicated in doing it this way. Beginning golfers will not even mind much because they can still start learning, swinging and understanding what golf is about during such a course’s mini-step. IF I DON’T HAVE A SITE, WHAT ARE SOME OF THE BEST WAYS TO FIND ONE? There can be a number of ways to find land for a par 3 course, if a developer doesn’t already own a site. These could even include long-term leasing from a private or public owner, if it is not feasible to purchase the land. I’ve written an article on finding land for a golf course. I could attach it to an e-mail message to you or, given your mailing address, send you a copy at no charge. WOULD IT BE SMART TO INCLUDE A DRIVING RANGE? Generally the answer is yes. But a range can have some drawbacks and certainly increases the scope, cost, land requirement and complexity of a project. A driving range is another source of revenue by being where golfers pay to practice and ideal for offering them instruction. A range will require an additional 15 or more acres (6 hectares), although the building, parking and maintenance area could serve both a course and range. Some will say, hey you don’t need that much land for a driving range’s tee line and fairway. But too short a fairway or no buffer zones on both sides of the fairway will require extensive netting on tall poles. There is the substantial additional cost of installing, maintaining and in time replacing that netting. Even then nets will not retain all the range balls or guarantee total safety from errant shots hitting nearby property or even persons. In a housing neighborhood residents may object to the idea of lights at night aimed in their direction or the range even being open after dark. Fortunately, golf courses aren’t like football and soccer fields with standardized dimensions. 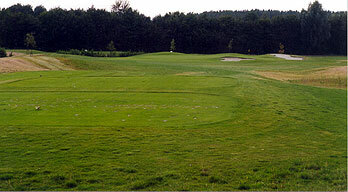 Resulting from its site each par 3 course is unique and so usually special in the hearts of its players and owner. What are some guides for popularizing your par 3 course to become a successful operation? Get informed on the subject, plan it well, construct it right, market it effectively, serve each customer and then enjoy the benefits of your accomplishments! For more information on the subject of a par 3 course, including the matters mentioned above and others, just e-mail me now, Bill Amick, ASGCA Golf Course Architect at amick@iag.net or phone me at (386) 767-1449.